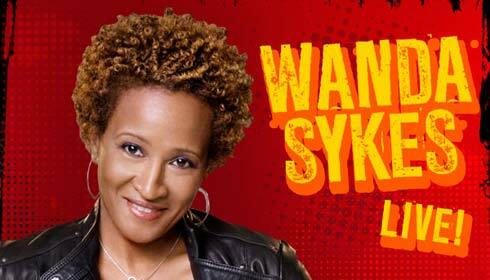 One of the funniest stand up comediennes around, Wanda Sykes is scheduled to rock the house at Hershey Theatre! In 2004, Entertainment Weekly named her as one of the 25 funniest people in America…wow! It’s nice to be recognized for your work, and Ms. Sykes is no exception…Nominated for seven Primetime Emmys, she won (1999) for “Outstanding Writing for a Variety, Music or Comedy Special for her work on HBO’s The Chris Rock Show. In 2001, she won the American Comedy Award for “Outstanding Female Stand Up Comic”. She also won a Comedy Central Commie Award (in 2003) for “Funniest TV Actress”. And, in 2010, she won a GLAAD award for her work in promoting a positive image of equal rights for gays and lesbians. Wanda is very well known for her role as Barbara Baran on the television show, “The New Adventures of Old Christine” as well as for her appearances on “Curb Your Enthusiasm” on HBO.